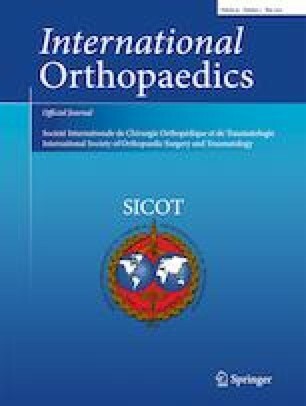 Hemiarthroplasty for proximal humerus fractures with conservation of the whole humeral head as autograft: does it improve greater tuberosity healing? Hemiarthroplasty (HA) for proximal humerus fracture (PHF) is associated with tuberosity complications like migration, non-union, and resorption. In order to improve the rate of consolidation of the greater tuberosity (GT), we have developed a hollow humeral head prosthesis in which the whole humeral head is inserted and used as autograft. This study is designed to evaluate the consolidation rate of the GT with this device. Twenty-two patients at mean age of 68 were treated between 2015 and 2017 for four-part fractures, fracture-dislocations, and head-split fractures with HA including the bony humeral head. The humeral prosthesis device comprises a prosthetic cephalic cup in which the detached humeral head is inserted and a cementless adjustable humeral stem which works like a jack. Mean follow-up was 14 months. The consolidation of GT was followed on X-rays. As comparison, 15 published series were selected and analyzed. There were two mechanical complications related to GT consolidation (9.1%). In the 20 other cases, the GT was radiologically consolidated without displacement. While the raw proportion of complications observed in the present series was lower than that reported in each of the 15 comparative series, the proportion of complications observed in the present series was significantly different from that observed only in seven out of the 15 previous series. Whole conservation of the humeral head as an autograft along with proper surgical technique yielded in 20 consolidations of GT without displacement in 22 cases of PHF treated with hemiarthroplasty.